Was It Safe to Continue Operating? 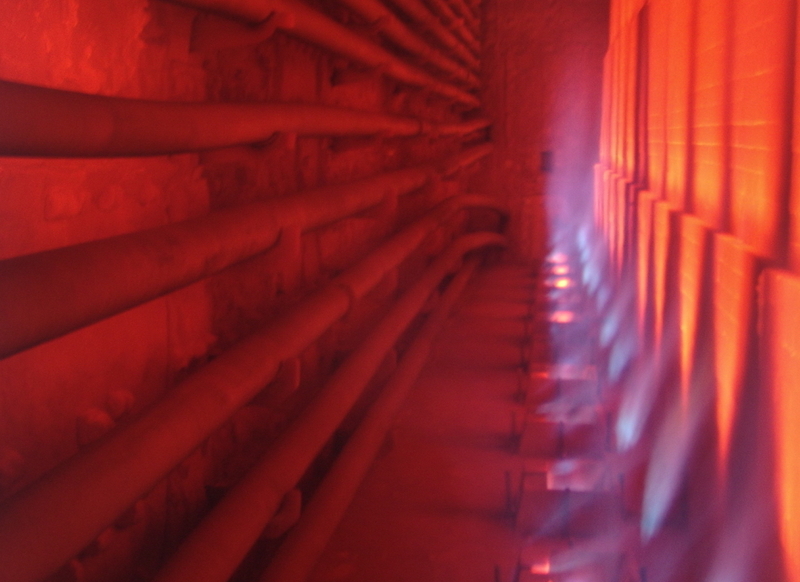 Radiant section tubes in a large heater were deforming excessively near the returns and there was a concern for tube rupture. Multiple changes had been made to the system during the last turnaround, so there was more than one candidate for the observed behavior. There was a need to understand the cause of the observed deformations, a prediction regarding expected future deformations and a remediation action plan. 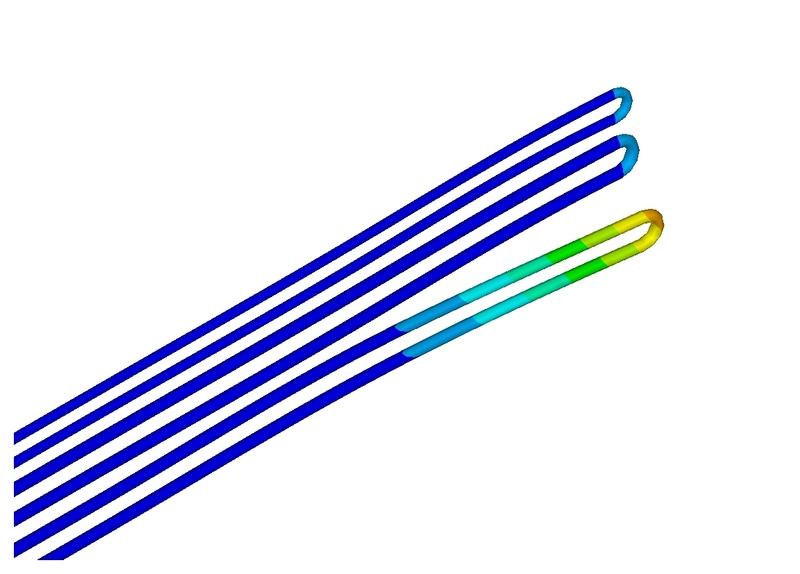 Two dimensional heat transfer finite element models (FEM) were built to understand the effect of various changes made to the system on temperature distribution in the tubes. These temperatures were then used in a three-dimensional thermal stress model to determine the influence of recent system changes on the observed behavior. It was found that one of the recent changes was primarily responsible for the observed deformations. Based upon this understanding, the heater remained in service. A remediation design was prepared for implementation during the next turnaround in order to limit future deformations. By understanding the cause of the observed deformations, and the expected future behavior, the heater was able to remain in operation, thus preventing an unscheduled shutdown. Argos Engineers is ready to partner with your operations personnel. Only shut down when needed and continue operating safely, and with confidence, when possible. Our personnel have been performing fitness-for-service evaluations of critical systems for over twenty-five years. Let us provide the analysis input needed for confident decision making.